WinPatrol is a tiny, but truly powerful security tool designed to detect and neutralize spyware, adware, viral infections and avoid the installation of various parasites and unsolicited malicious software. This program is not like a regular spyware remover, because it does not scan the entire file system or Windows registry. In place of this technique, WinPatrol uses another approach to secure the system and eliminate pests. The application continuously monitors all the running processes and system services, installed browser plugins and currently scheduled tasks. It shows simple lists of mentioned objects and allows to remove or disable any of them. The user is provided with detailed information on each item including its full name, purpose, origin, exact location and current status. WinPatrol presents other similar lists containing startup programs, particular file types and applications associated with them. Another useful WinPatrol feature is the Cookies tool that allows to find tracking and potentially harmful cookies, filter them and remove those which pass the specified criteria. The most useful and powerful WinPatrol feature is a real-time implemented in the application’s PLUS version. Unfortunately, this version is paid, but is definitely worth to be purchased. 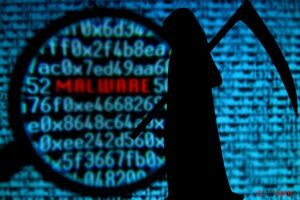 The program detects practically all widely spread spyware and adware threats, browser hijackers and malicious Internet Explorer plugins and prevents their installation. It also is able to eliminate parasites by removing their essential components used to run the threat or implement its main functionality. WinPatrol includes additional monitoring tools available in both paid and free versions. 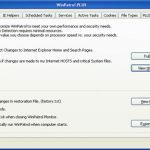 These tools detect changes to Internet Explorer home and search pages and warns if changes are made to critical system files. Such functionality makes WinPatrol the effective solution in fighting against browser hijackers and viruses. The program’s interface is simple, easy-to-use and attractive. The official web site is www.winpatrol.com. 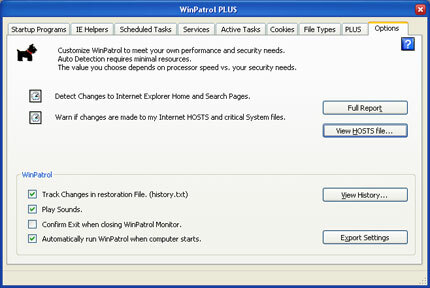 Purchases of WinPatrol PLUS are made via reputable services using a secure connection. 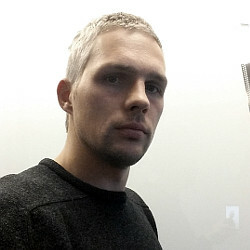 This entry was posted on 2014-05-10 at 06:18 and is filed under Anti-Spyware, Software.